Adorable! Love the embossing. Glad you are having a great week my friend. A fabulous card. 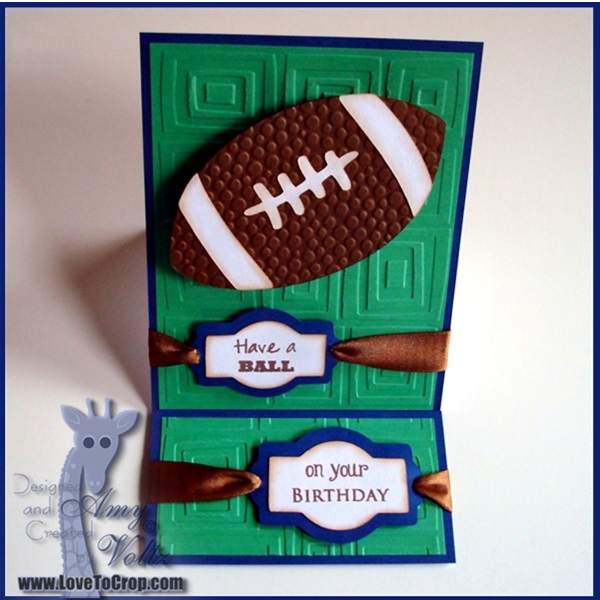 I love the embossing and the wiggly football. Amy super cute card!! You just made my day because I have been trying to figure out how to do the ribbon for my daughters birthday invites and I am going to steal (use) you idea!! Thanks!! Hope you enjoy the rest of your week!! 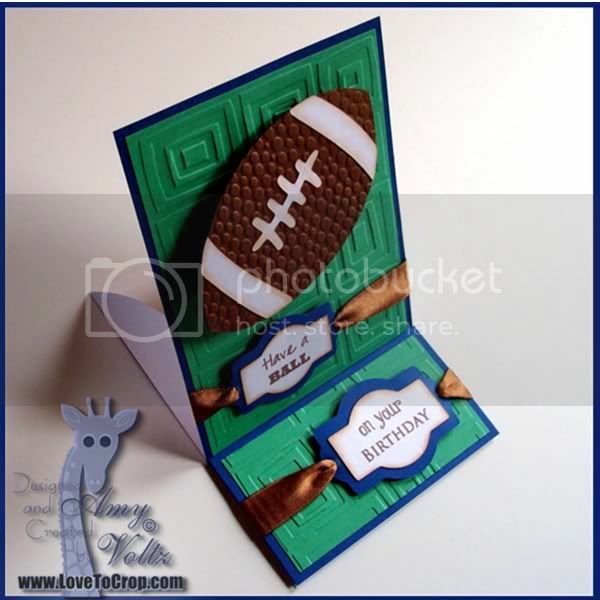 Your card has made a TD! Especially like the embossing. Was wondering about the winner of the Say What challenge that ended 4/12? Super card Amy! Love the wiggly football and the great color combo. Amy for some reason I didn't comment on this card, I thought I had, my bad!! It is really cute! The tiny bubbles folder is perfect for a football, especially a wiggly one :)) The traffic jam folder was perfect for the background too. I also love the color combination you used my sweet friend. Great job!